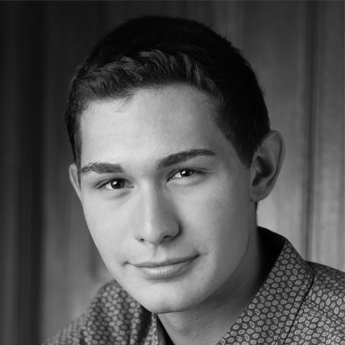 Last year at the Intel International Science and Engineering Fair, a young high school student named Jeremiah Pate (Image above) took first Place in his category and third prize overall in the Dudley R. Herschbach Stockholm International Youth Science Seminar Award. This competition involved nearly seven million high school students from all over the world. And by being a winner in the competition, Jeremiah received an all expenses paid trip to attend the Nobel Prize Awards in Stockholm Sweden. Jeremiah’s award winning project was about his efforts to find a possible cure for Parkinson’s. In today’s post we will look at the interesting story of how Jeremiah became interested in Parkinson’s and discuss why impatience is a virtue. We all like stories that involve something bold. The moon-shot. The last stand against impossible odds. The underrated boxer beating the champ. 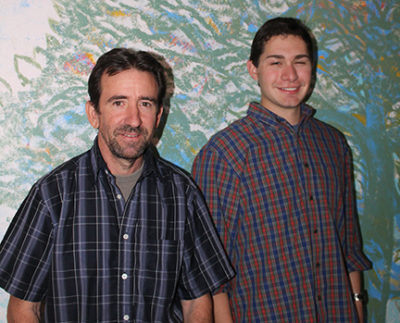 The enthusiasts putting Gossamer satellites into space. Big-obstacle-being-overcome, that sort of stuff. I personally really like those stories about individuals with a very specific goal and the determination to let nothing stand between them and achieving it. Those folks who are not satisfied with the status quo and want to change things for the better. Here at the SoPD, we have previously tried to highlight individuals like this within the Parkinson’s research community (for example, Dr Lysimachos Zografos and Sara (soon to be Dr) Riggare). And in keeping with that tradition, today’s post is about a similar individual. And the story begins at the First Baptist Church in Mammoth, Arizona. Mammoth is a small town in Pinal County, Arizona. It’s about 100 miles south-east of Phoenix and maybe 50 miles north of Tucson. The population of Mammoth is approx. 1,500 people. And it was there that Joe Ventimiglia (or simply ‘Joe V’) was asked to become interim pastor at the First Baptist Church in Mammoth in 2013. When he made his move to the new church, one of the members of his previous congregation in Oro Valley, near Tucson went along with him to help setup for Sunday sermon. That individual was a high school student named Jeremiah Pate. Now there is something you should know about Jeremiah: He has a very curious mind. But he didn’t just think about this problem. Two years later in 2016 – having got his pilot’s license – Jeremiah proposed an actual solution. 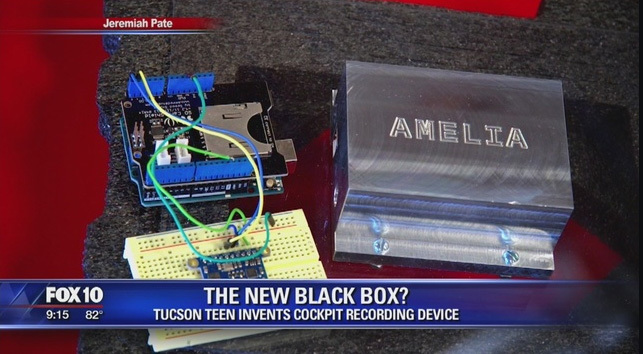 In the form of a new ‘black box’. His device compressed the data that was collected on board a flight and when something goes wrong, it would transmit all of it in one packet to ground control. “Streaming not just video, but any mechanical input continuously.. that’s a huge cost, out of satellite or what not, so it stores all this information on board and then when something goes wrong, it sends that data down,” explained Pate (Source). And it was this same curious mind that went to action when Jeremiah arrived at the First Baptist Church in Mammoth, Arizona. You see, several members of the 35-person congregation at the church had Parkinson’s. Jeremiah befriended some of these folks, including one Jessee Walker (pictured above), and he wanted to do something to help them. And this is where the ‘big-obstacle-being-overcome’ part of our story really begins: Jeremiah decide he wanted to do research on Parkinson’s. He began this endeavour by reading up on the Parkinson’s research literature, which in turn led him to focus on a protein called alpha synuclein. 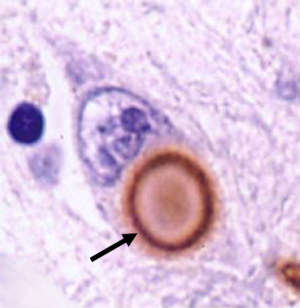 Alpha synuclein makes regular appearances on this blog, as it is widely considered to be one of the villains in the Parkinson’s. It is an extremely abundant protein in our brains – making up about 1% of all the proteins floating around in each neuron. Now, for a protein like alpha synuclein to do its normal function inside a cell, it must be folded into a particular shape. And given that cells expend a great deal of energy on protein production, there is a necessity for each protein to be folded correctly. To prevent the loss of the proteins due to what is called ‘misfolding’, cells have evolved an amazing set of proteins referred to as ‘chaperones’, which help to correctly fold newly synthesised proteins. 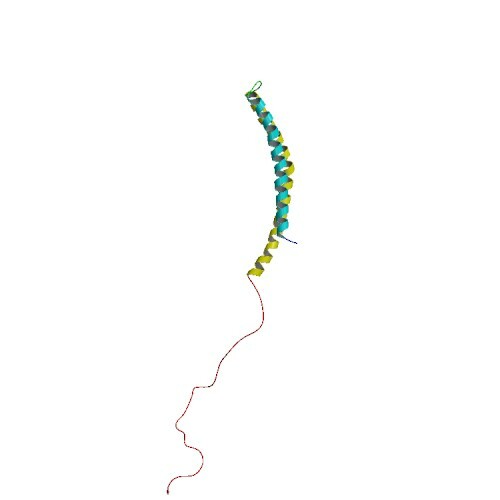 Misfolding of the alpha synuclein protein is believed to be involved in the production of the oligomer form of the protein (Click here to read more on this). And this was where Jeremiah decided to focus his attention. Specifically, he wanted to identify proteins with a similar structure and identical function to that of the native alpha synuclein chaperones (the proteins that naturally help to fold and unfold alpha synclein correctly). He figured that by treating Parkinsonian people with such proteins, there would be less misfolded alpha synuclein protein in the cells. This would hopefully protect the cells and it possibly also slow down the spread of the condition. In addition, given that these proteins would simply be replicating what is already present in the body, theoretically there would be fewer adverse side-effects and reduced toxicity. Jeremiah next started using software to screen for proteins of similar structure to alpha synuclein chaperones, but he soon realised that this process was going to take forever to identify candidates of interest. So he changed his approach and decided to design his own synthetic versions of the chaperones. And in order to do this, he wrote an algorithm and created a computer program called Neurogami which modelled proteins by randomly folding a template until that template fits the user’s desired protein shape. This approach gave Jeremiah several interesting candidate proteins to test in cells. Armed with these synthetic chaperones, he next sought to test them in models of Parkinson’s. 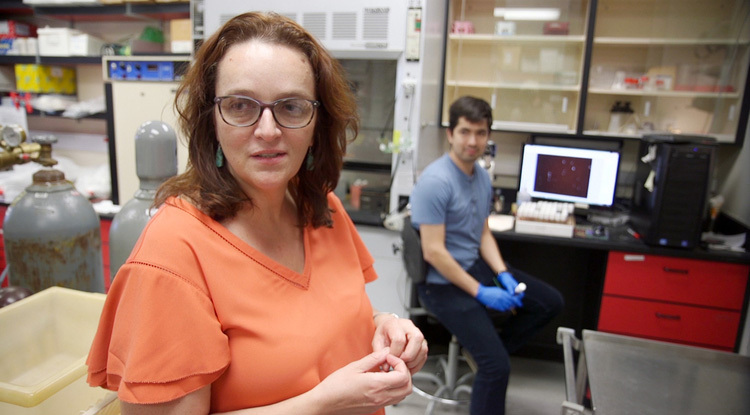 Dr. Daniela Zarnescu is an Associate Professor in the Departments of Molecular and Cellular Biology, and Neurology at the University of Arizona. Her lab has traditionally worked on the neurodegenerative condition Amytrophic Lateral Sclerosis (ALS), also known as Lou Gehrig’s disease (Click here to read more about the research being conducted in Dr Zarnescu’s lab). Taking on a high school student interested in researching Parkinson’s could appear to be a risky bet for Dr Zarnescu, but she knew of Jeremiah from previous Southern Arizona Regional Science and Engineering Fairs, which he had entered every year. Plus she was interested in Parkinson’s and curious to see what would become of the project. 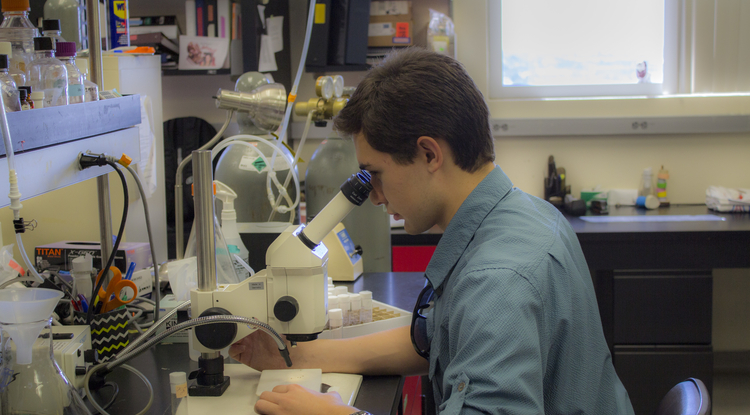 So now Jeremiah is in his first year studying at the University of Arizona, and working in the Zarnescu lab on his project between classes. And Jeremiah has also helped with the funding of his research (Click here to read more about this). His project is testing the feasibility of chaperone protein engineering as a viable Parkinson’s therapeutic. First, he is conducting cell culture testing of candidate chaperones proteins. These experiments will allow him to determine which of the candidate synthetic compounds has the best chaperoning activity. Next, he will test those compounds in cell culture models that mimic the cellular effects of Parkinson’s. Third, a fly (Drosophila) model of Parkinson’s will be treated with the best candidate compounds to assess whether the compounds can have beneficial effects in vivo. And when the project is finished, Jeremiah plans to publish the results in a peer-reviewed scientific journal. And we will be looking out for that publication. The irony in this tale is that Jeremiah was told to wait until graduate school to start research on a potential therapy for Parkinson’s. And he was also told to wait until he earned his bachelor’s degree before starting a company. The really attentive readers are probably wondering what ‘Gossamer satellites’ are (I mentioned them in the second line of this post): Jeremiah is also the CEO of Lunasonde, a company he and two others started in August 2016 with the goal of launching a fleets of tiny satellites into space. 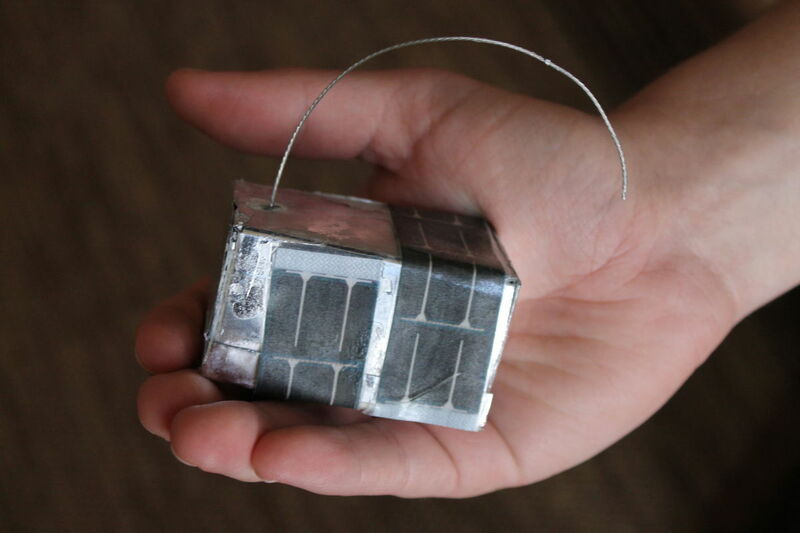 These Gossamer satellites are cheap and small enough to fit in the palm of a hand. The tiny satellites will contain sensors which include ground penetrating radar, magnetometers and gravity sensors capable of detecting minerals, metals, fossil fuels and water about a mile beneath the surface of the Earth. The company anticipates demand for the data from these satellites from mining companies. The team is raises $65,000 to launch their satellites into low-Earth orbit, using a Lithuania-based company, NanoAvionics. After approximately two years in orbit, the satellites will fall back to earth, burning up in the atmosphere. Lunasonde would then send updated versions of the satellites into orbit to replace them (Click here to read more about this venture). Certainly one worth keeping an eye on, and perhaps emulating his example. The author of this blog would like to thank both Jeremiah and Dr Zarnescu for their help in the production of this post. I first learned about Jeremiah’s story via several news articles online which have been used as source material. I was so amazed by the tale that I wanted to share it with the Parkinson’s community by writing a post here on the SoPD website. I reached out to Jeremiah and asked if he would mind answering a few questions, and he was very helpful. I wish him (and Dr Zarnescu) the very best of luck with his research and will look forward to reading the results. Yeah all of our kids in the US are this smart. You are wittier than i! A really inspiring tale. I hope he does not burn out . No chance of that. He is an ambitious young man with big plans. I think he is too busy to burn out.